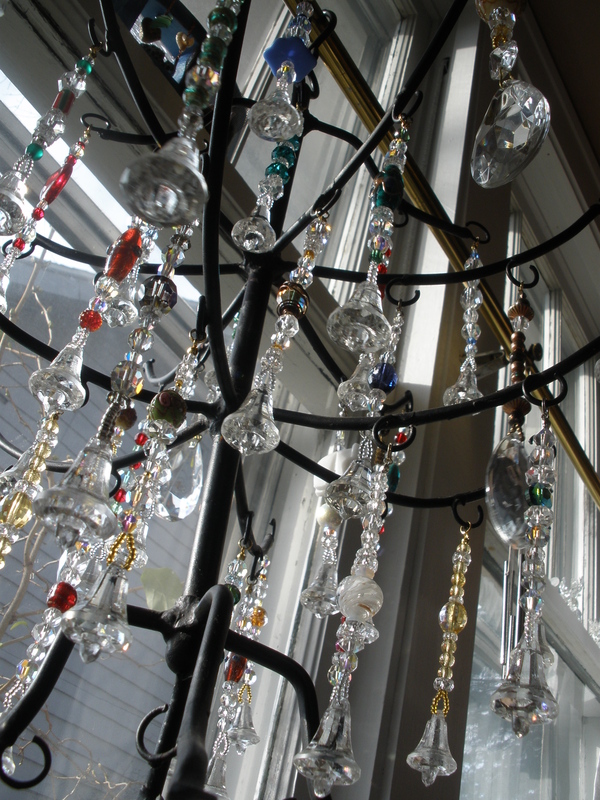 McLean County Art Center’s Holiday Treasures kicks off Friday, November 8, 2013 with an Opening Gala. Details are at the end of this post. My husband and I found the green, amber, blue, clear, and brown bits of sea glass during many walks over the years on Florida’s Panama City Beach and Mexico Beach. My favorite piece of “candy”. 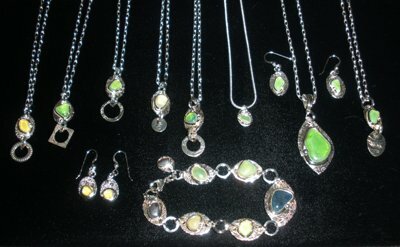 I set the glass in fine silver metal clay, then fused the glass and silver together in my kiln. 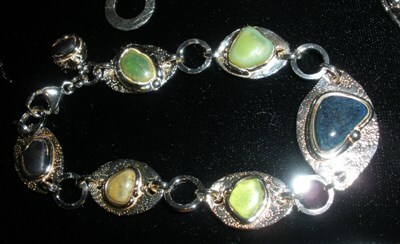 Remember wearing rock bracelets? This one is just as fun. 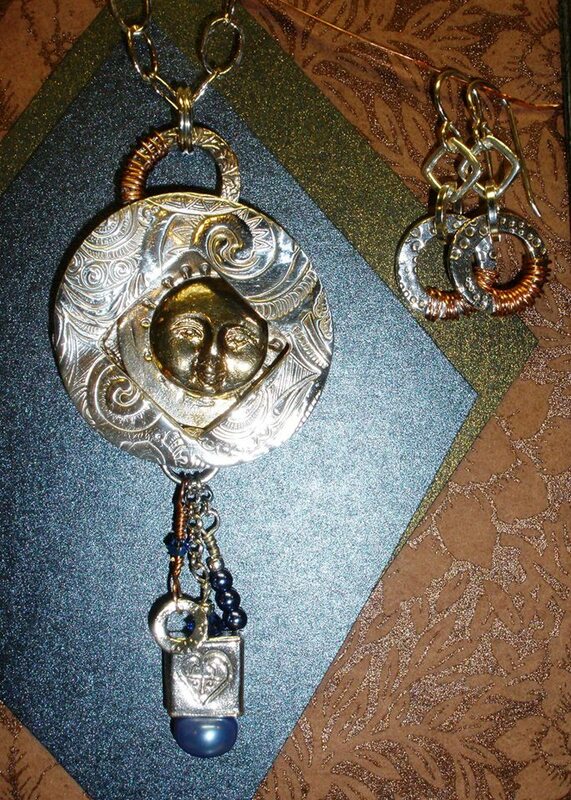 I also included my Hammered Heart Series, hearts hammered from copper or fine silver; some jeweled with pieces of art glass, crystal, gems, or beads. How can you ever have enough hearts? 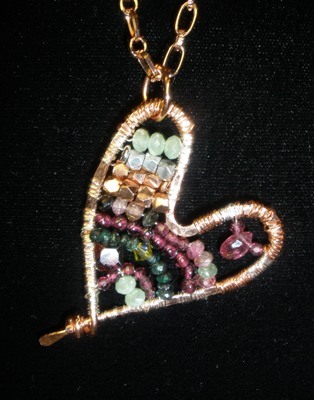 Hammered copper heart with ruby, garnet, emerald, crystal, fine silver. An Opening Gala on Friday, November 8 from 5-8pm will kick off the McLean County Arts Center’s (MCAC) 38th Annual Holiday Treasures Exhibition and Sale. A donation of $20 at the door is suggested for the evening of live music, hors d’oeuvres, and beverages a festive way to begin the holiday gift giving season with friends. 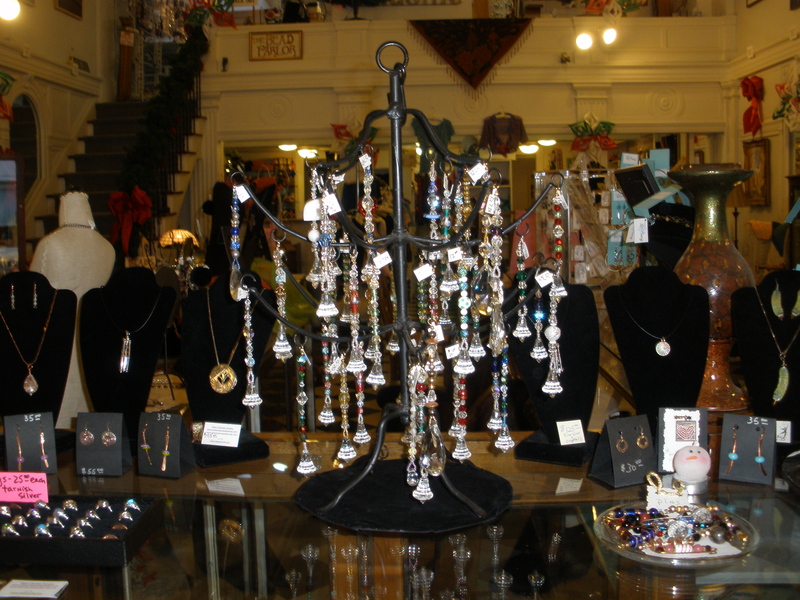 The Holiday Treasures Exhibition and Sale runs from November 8, 2013 through January 4, 2014 and features over 70 locally and nationally known artists exhibiting paintings, glass, fiber, photography, jewelry, wood, ceramics as well as handmade seasonal items. The McLean County Arts Center is free and open to the public during regular hours for the holiday season. The Holiday Treasures Exhibition is generously sponsored by Sue & Julius Alexander, Ron Bacon & Dee Bohbrink, Anne & Brian Boyden, Kelly & Lynn Gray, and Steve & Deb Wannemacher. 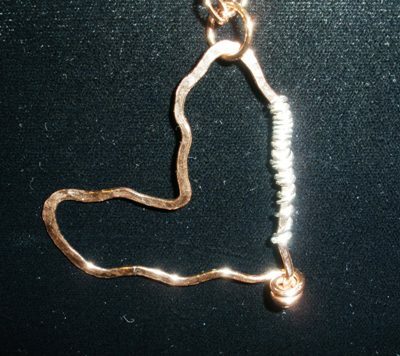 You can also find this event on Facebook and/or follow my jewelry at Silver Charmer Jewelry on Facebook. 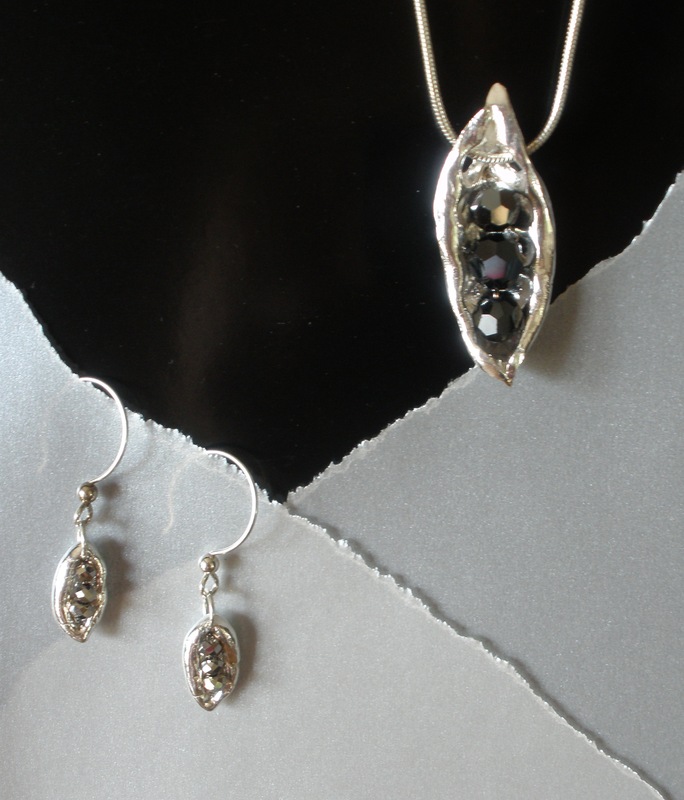 For this year’s September 28, 2013 Grape Soiree, an annual fundraising event featuring fine art and wine to benefit Easter Seals of Central Illinois, I’ve donated a piece for the live art auction titled The Pea Pod Shuffle. Details about the event can be found on the Grape Soiree Facebook page and on the Central IL Easter Seals website. It’s always an inspirational and amazing evening. 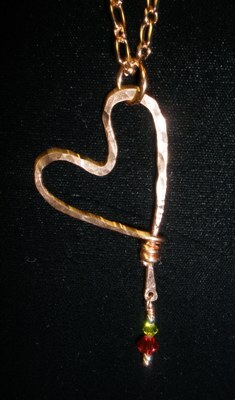 Hearts, Hearts, Hearts ~ Hammering Away! There are hearts and then there are hearts. I love them all and will be offering many varieties this Friday …..
…at Main Gallery 404 for the First Friday Event and The Tour de Chocolat’: Details and more jewelry HERE! 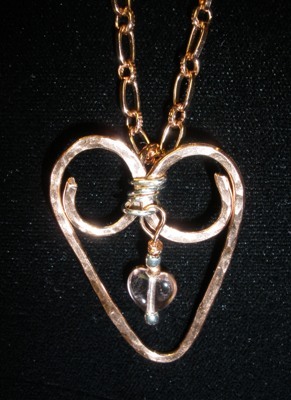 Maggie’s Heart: Hammered copper and fine silver. 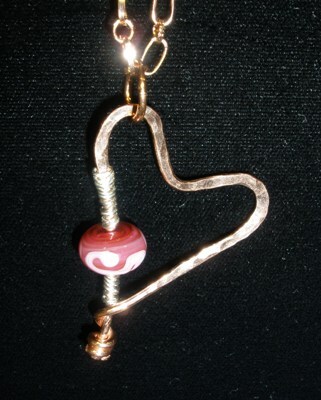 Hammered copper heart with fine silver and lampworked bead. 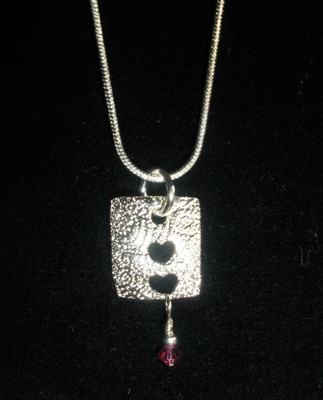 Hammered copper heart with fine silver, olivetine and garnet crystals. 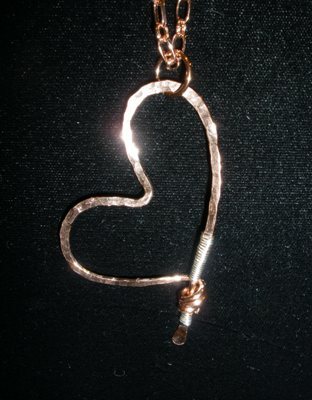 Hammered copper heart with fine silver and peach drop. And a few other new hearts, too! 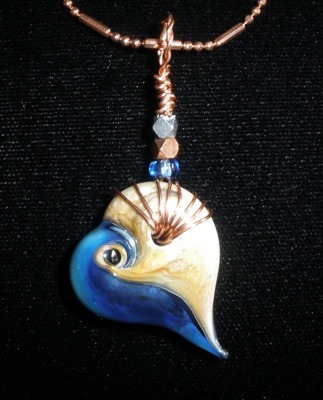 Almost kept this for myself: Lampworked copper-wrapped bead with crystal. 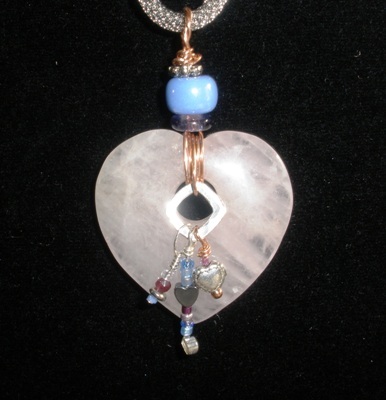 Agate heart with lampworked bead, hematite, crystal, garnet, sterling, copper,sterling silver. 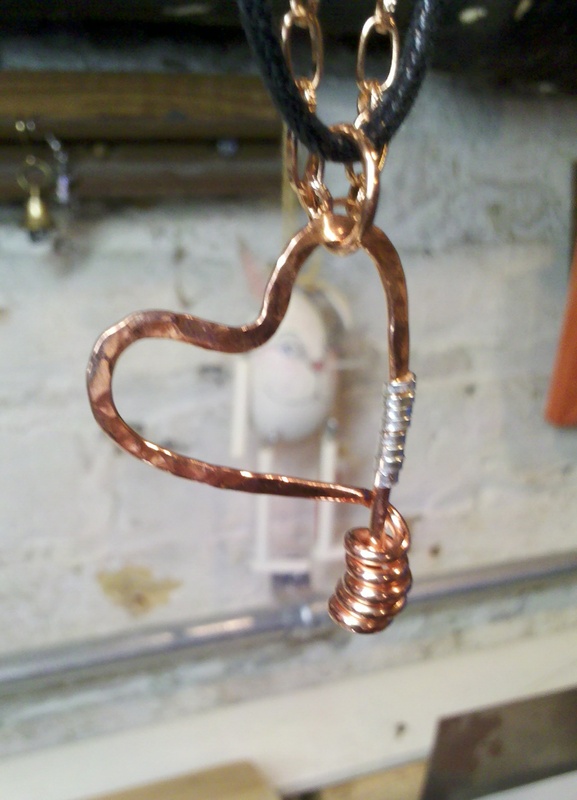 Hammered copper heart with sterling silver. 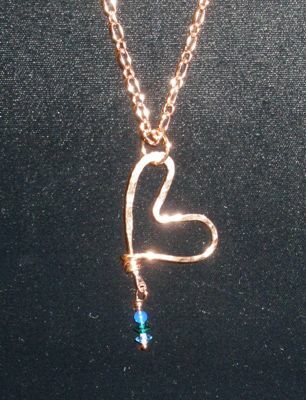 Hammered copper heart with blue and green crystal drop. 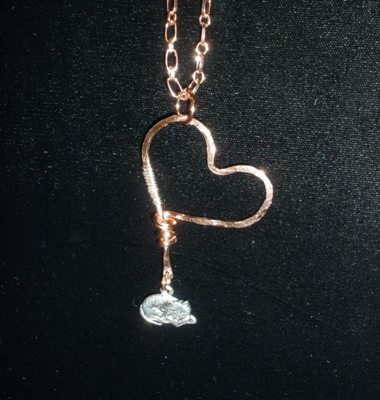 Hammered copper heart with sterling silver and sleeping kitty charm. 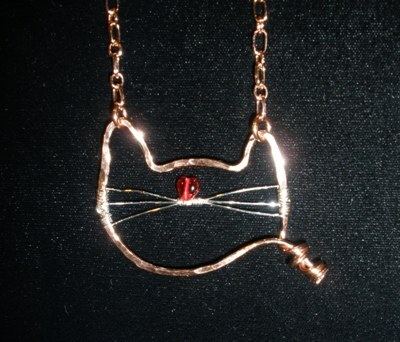 Mr. Kitty; hammered copper with red glass heart nose and sterling silver whiskers. Spent a day making crystal ornaments and listening to every Christmas CD we have! 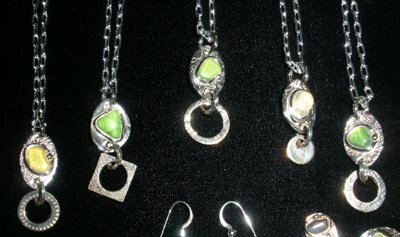 Available now at The Bead Parlor in Bloomington, IL! 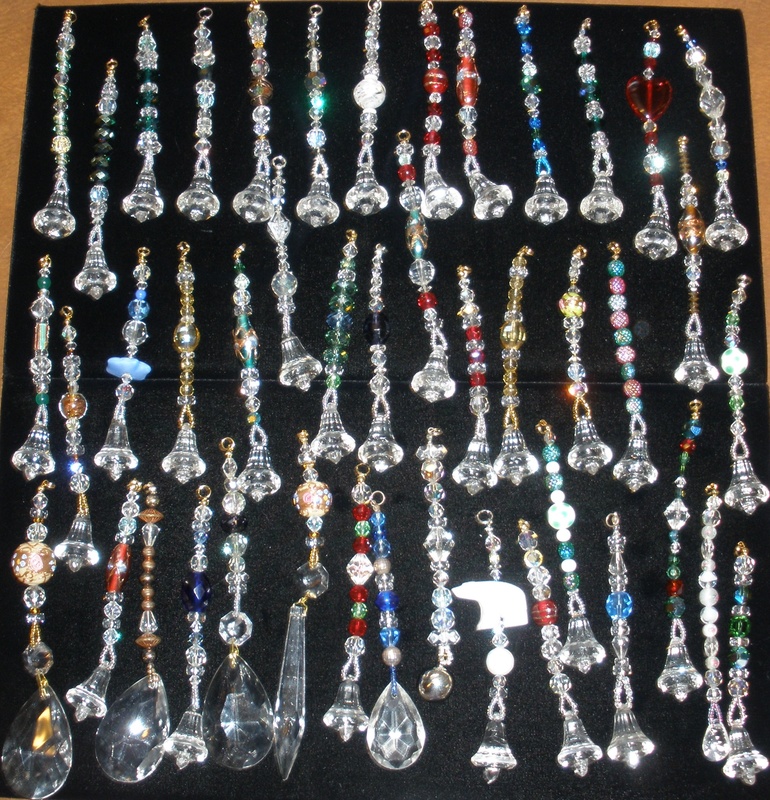 Lots of vintage crystal: chandelier drops, crystal beads and bells, one-of-a-kind beads, even musical chimes! 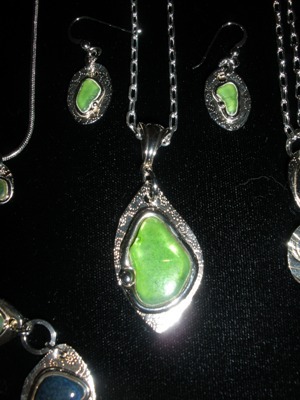 Price range: $12 – $15. Crystals sparkling in the sun! Trying to get "artsy" with my camera angle! 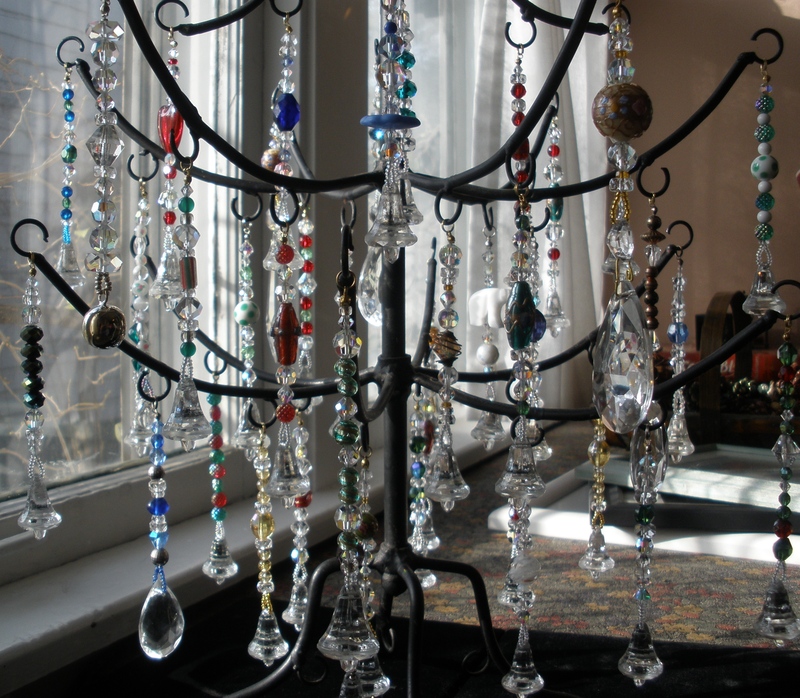 Waiting for you at The Bead Parlor!